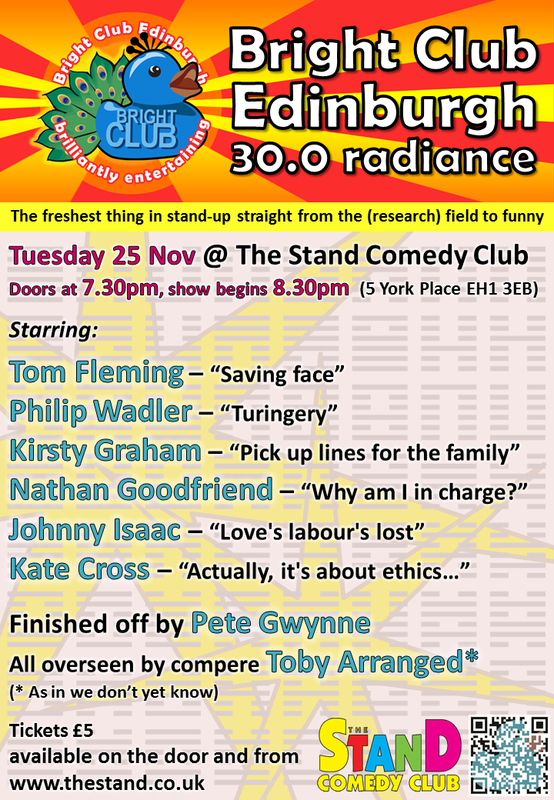 Tuesday 25 November at The Stand Comedy Club, I will be part of the line up at Bright Club, speaking on the subject of 'Turingery'. Bright Club is stand-up by academics---we are trained professionals; don't try this at home! Doors open 7:30pm, show starts 8:30pm. The Stand is at 5 York Place, Edinburgh, EH1 3EB. Tickets £5 at the door or online.